Welcome to the best kept secret in Daily Fantasy. For the past few years Daily Fantasy Sports betting has been steadily increasing in popularity. This post all about sharing the strategies I’ve developed which help you experience the excitement of daily fantasy without the hassle of constantly adding money to your bankroll (aka losing). Some background before we get started. I’ve been an avid daily fantasy football enthusiast since the early days. I put my money where my mouth is and I’ve never had a losing season playing in daily fantasy football. Over these past years I’ve developed a strategy based around how to distribute your weekly betting to maximize the opportunity for tournament victories. Our original FanDuel Winning Strategies article was is a basic guide line for my strategy. This article will expand on that and include some more advanced strategies and concepts. If you are reading this I encourage you to look back at the original article to get an overall sense of the basics. Some of the theories you will read in this post involve basic or advanced mathematics. I wouldn’t harp on any of that stuff. In the end of the day betting on fantasy sports is not an exact science. I use statistics to help explain some of the concepts but in the end of the day, if you simply follow our outline of how to distribute your bets you should be successful. **Disclaimer** Not all results are equal. Fantasy Football (Baseball, Basketball or whatever sport you prefer) requires a combination of skill and luck. In order to be successful using my system you need to be at least average (compared to other daily fantasy players) in terms of your skill level at putting together lineups. Fantasy Draft – Register for a New Fantasy Draft Account via this link – You get one FREE month of DFS Army VIP Membership, Our two Daily Fantasy Football Strategy eBooks, plus up to a $600 initial deposit match. 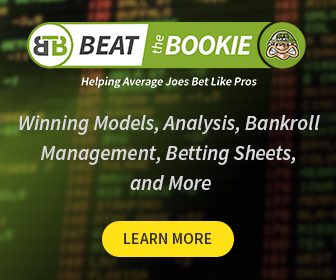 Boom Fantasy – Register for Boom Fantasy and get a FREE month of DFS Army VIP membership and our two DFS Strategy eBooks. Boom Fantasy will also match your deposit ($20 Minimum) and give you an additional $10 voucher you can use immediately. I’ve registered a new account with an initial deposit VIA THE ABOVE LINKS – now what? The site you registered for and your screen name for that site – We will send you a promo code for a free month of DFSarmy.com VIP membership. Its that simple. First and foremost, if you are new to Daily Fantasy or just thinking about getting in to it make sure to take maximum advantage of the initial deposit match which most of the major Daily Fantasy Sites offer through referral or promo codes. (Hint: Read on a bit and you will see links to both FanDuel and Draftkings which include the deposit matches). Daily Fantasy is a game of percentages. The sites that facilitate it generally take a 10% vig or rake. In essence in order to break even a player needs to win their head to head matchups 55% of the time to make up for the vig. In heads up play 55% is just slightly above average and therefore very achievable. Still the deposit match generally feeds funds back to your account at a 4% clip essentially reducing the winning percentage required to overcome the rake. Deposit matches are a great way to smooth out those odds. Keep in mind that these deposit bonuses are rarely offered to players with existing accounts. Most players start For that reason it is best to start with a large initial deposit. The reason being that you can always pull funds out down the road but you don’t always have access to the deposit match. For the purposes of implementing this system I suggest an initial deposit amount of between $ 300 to $ 500 to take advantage of the match. There are two daily fantasy sites that I use regularly. Fanduel and Draftkings. I like them both and recommend both here on the site to our readers for various reasons. I could put a whole post together just on this topic but I will just give a brief overview here. FanDuel – The ease of use and user experience here is unmatched. Their mobile site is also easily the most user friendly of the bunch. More importantly FanDuel has a larger quantity of low dollar entry tournaments on a weekly basis then the other sites. My strategy requires compiling multiple lineups and entering each into a tournament as well as 50/50 odds matchups. DraftKings – Their site is also quite user friendly. In addition their tournaments often pay out the top 20% of finishers (vs Fanduel paying out the top 10%). I’ve found the competetion level on Draftkings to be inferior to that on FanDuel opening up opportunity for a greater winning percentage in 50/50 odds matchups. Finally using two sites is a great way to gauge and compare player values across multiple sites. Since DraftKings and FanDuel both have similar salary cap amounts, comparing player salaries across the two sites helps you understand the relative value and take advantage of salary arbitrage between the two sites. If a players value is significantly cheaper in one vs the other and you like their matchup you can grab that player in your lineups for the one site where they are priced cheaper. There are two basic types of contest types on daily fantasy sites. First there are the 50/50 odds (these include head to head matchups, double up tournaments etc) where you are competing with either one random person and their lineup or in a larger group where the top half of scores win. Next we have large scale tournaments. These contests generally have 1000 or more players competing for a large prize. On FanDuel they generally pay out the top 10% of finishers in these contests with the top 5-10 finishers getting the bulk of the prize money. DraftKings generally pays out the top 20% of scores in there tournaments. As you read on keep in mind that the key to my system is understanding and accepting that its hard to place in the money in tournaments and even harder to win them. In an 3000 person FanDuel tournament the odds of a top 10 finish are 0.33%. We’ve gone over the two basic contest structures. The key to long term success in daily fantasy is striking the right balance between the excitement of low odds tournaments versus the practicality of 50/50 odds contests. In my first season of Dueling I started with a fairly small bankroll ($ 100 + the deposit match). I would basically make a bunch of different lineups and randomly enter them in mostly HTH’s/50/50′s and then on occasion when I felt great about a lineup I may add it into one of the bigger tourneys. The problem with that strategy was when you end up with a monster (tournament winning) score in a 50/50 league you still just double your bet. There are no bonuses there. The first time it happened to me I decided that I will never create a lineup for a 50/50 without entering that same group into a Tournament just in case. Most people are seduced by the dream of winning a large format tournament and the massive cash prizes that come with such a win. FanDuel runs weekly contests with over $ 250,000 in prizes including as much as $ 50,000 to a tournament winner. For Fantasy Football they run a “Championship” tournament with a million dollar prize for the winner as well. That’s exciting! Sadly your chances of winning one of these is minuscule. I look at tournament entries as a sort of lotto ticket. Every tournament you enter on a weekly basis is like buying a lotto ticket. You never know when you will happen upon that one optimal lineup that will deliver the tournament winning glory. The key to reducing those odds is to diversify and create multiple lineups. The more lineups you create the higher your odds are of hitting the right mix of players. Since tournaments have very long odds the chances of finishing “in the money” are slim. Players that only enter tournaments are in essence “noobs”. There is no way you can exclusively play in tournaments and maintain a bankroll. My system is all about paying for tournament entries by placing each lineup in both types of contests. Each week I will create between 20-50 different lineups over the course of the week. For each lineup I create I enter it in to one tournament and between 3-5 50/50 odds contests (I like to enter at least one “Double Up Tournament and 3 HTH matchups). The ratio of dollars should be approximately 4 to 1 in 50/50 vs Low odds tournaments. One of the nice things about Head to Head matchup’s is that even if your lineup was below average there is a chance your opponents was worse and you still come away with a victory. If you are even just slightly above average in putting lineups together your 50/50 odds entries should do well enough to pay for your tournament entries. The key is that when using a diversifies mix on lineups you should also be able to place in the money in some of those tournament entries. That’s generally where most of my profitability comes from. In essence we enter 50/50 odds matchups to maintain the bankroll, and tournaments to grow it. This strategy works for any of the sports. Each week of the Fantasy Football season I do a post here on this blog detailing players and matchups to target. If you simply look at the players we recommended each week and put together random lineups based on mixing and matching those players you would have done very well this season. If you look through the comments we had multiple tournament winners last season as well as many players that simply were able be consistently profitable. That said you shouldn’t rely on a single source for lineups. Do your research each week. Look for special situations that create an out-sized value (think injuries or surprise starters that are priced too low for the potential production). I generally look to diversify as much as possible while sticking with a few “ALL IN” players whose matchups I love in a given week. “ALL IN” players are ones that you put in at least half of your lineups. Generally when you hit on your “All In” plays you tend to have a great week. The key to long term success in Daily Fantasy is finding the right balance of entries in the various contest types in any given week. Remember that the rule of thumb is for each lineup 80-20% ratio of $ ‘s entered in 50/50 odds vs tournaments.